John Grant has a lot of experience bringing change to law firms – or trying to. As you might expect, John has seen both success and failure in those attempts, and he brings all of those stories to his discussion with Peter Aprile and Natalie Worsfold. He's seen the marketing brochures trumpeting project management tech that only five people are actually using. He's seen the lack of strong executive leadership. He's also seen individual lawyers push a new idea through a whole office, purely on the strength of conviction. In short, he has been exactly where many of our listeners are, and he has wisdom to spare. John is known as the Agile Attorney and helps lawyers and legal teams deliver customer value using efficiency tools such Lean process improvement and agile project management. Before he became a lawyer, John had a long career in operations and product management, which is probably why concepts like agile and Lean come naturally to him. John has brought these concepts to the legal industry working as in-house counsel, founding a law firm, working as a strategy manager in a large law firm, and working as a consultant to help lawyers build profitable and efficient practices. 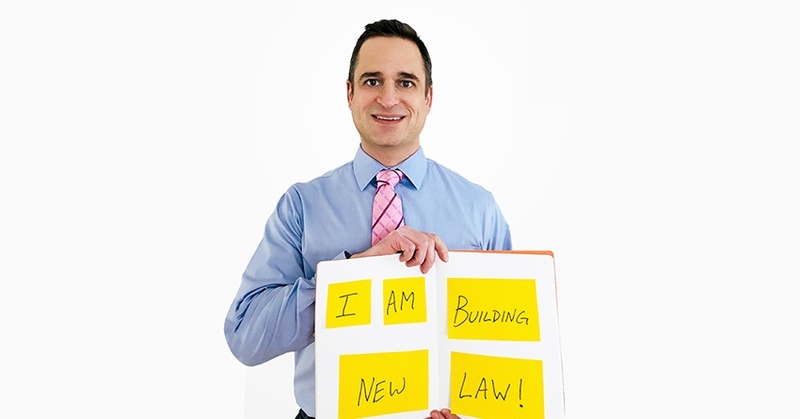 Peter Aprile: [00:08] Hi, and welcome to "Building NewLaw," Canada's first and only CPD accredited podcast. It's hosted by me, Peter Aprile, and my colleague, Natalie Worsfold. Natalie Worsfold: [00:17] In each episode, we interview lawyers, legal technologists, and other like‑minded people at the forefront of new law. Peter: [00:24] We hope that the podcast connects the new law community and helps us all learn more about the approaches that are changing the way that we practice law. Natalie: [00:31] To learn how you can use this podcast to satisfy your Law Society CPD requirements, visit our website at countertax.ca/bnlcpd. That's countertax.ca/bnlcpd. Male Announcer: [00:40] The Building NewLaw Podcast is supported by Counter Tax Lawyers, a new type of tax controversy and litigation law firm. To learn more about Counter, go to countertax.ca. Peter: [01:00] On this episode of Building NewLaw, we're talking to John Grant. 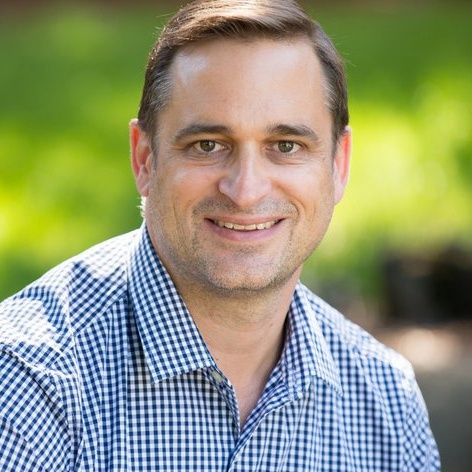 John founded the Agile Attorney Network and he helps lawyers and legal teams deliver customer value using efficiency tools such as Lean Process Improvement and Agile Project Management. Natalie: [01:19] Before he became a lawyer, John had a long career in operations and product management, which is probably why concepts like Agile and Lean come a little more naturally to him. John has brought these concepts to the legal industry and worked as in‑house counsel, he founded a law firm, he has worked as a strategy manager in a large law firm, and is helping lawyers build profitable efficient practices. Peter: [01:38] So, the question becomes what hasn't John done? We're interested in John's experience in trying to teach lawyers project management and lean practices, in particular in the big law environment, and asked him to share his insight as well as his experience in trying to create change in that type of environment. Here's our interview with John. Peter: [01:58] Hi, John. Thanks for being on the podcast. John Grant: [02:04] Thanks for having me. I'm super excited. Peter: [02:06] We've been really waiting and excited to have you on as well, because you have a really unique experience and perspective that you can bring to us, as well as the people listening to the podcast. And I think one of the main things that you focus on is Lean as well as Agile Management. We want to talk to you a little bit about that today. [02:26] Can you give us a quick, maybe a one‑minute overview for anybody that isn't familiar with these concepts? John: [02:31] Yeah. So, let's see, one minute is tough, but I'll start with Lean. Lean comes from Toyota Manufacturing in the post‑World‑War‑II era. I think what most people think about when they hear "Lean" is efficiency and maybe specifically efficiency through the reduction of waste. [02:51] Waste is a quasi‑technical term within the Lean line of thinking that basically means anything in which you're making an investment that isn't yielding a benefit. More accurately, that investment should whenever possible be yielding a benefit to your customer, not to you. [03:12] Although, obviously some of that benefit should inure to you. That's correct. Elimination of waste is important. Efficiency is important. I think that focusing on either of those things is to misunderstand the core teaching of Lean, which Lean, at its core center is about quality and quality control. [03:36] The thing that Toyota figured out different from, say, the American car manufacturers of the time is that assembly lines like the Henry Ford one, and I know other guests have mentioned Henry Ford on your podcast, the Henry Ford assembly line is good at repeating things. That means that it's good at repeating the good things, but it's also good at repeating the bad. [03:59] If you focus on setting up process or setting up assembly‑line‑type thinking, you can imprint your errors just as easily as you imprint your successes. That can ultimately lead to problems. One of the cores of Lean is to continuously improve the quality of your work, and what I often tell the clients that I work with, we begin with quality control. [04:24] Quality control begets flow. Things will move from stage to stage through a workflow more easily. Flow begets speed, and speed begets volume. All those things will help basically drive revenue for your practice. It will also ultimately help you serve more people, which is part of why I'm so interested in all of this. I have a personal mission around that that we can talk about maybe a little bit later. Natalie: [04:49] And serving people better is the mission and what I hear when I hear you talk about Lean, so the idea of client value and things like that seem to be in the forefront. John: [05:00] Better has to be the first thing you're doing. It's establishing quality and consistency first and not trying to get efficiency. When I give presentations, and for those of you that have seen me, I often will put a slide up that says, "Who wants to make their law practice more efficient?" [05:19] Of course, lots and lots of hands go up. Then I've got a foreboding dark slide that says, "Efficiency is a terrible goal." John: [05:25] And the anecdote that I tell is if you put an electric drill in the hands...back at the onset of the electric drill, if you put an electric drill in hands of someone who knows how to make fine furniture, then that person will be able to be more efficient at his or her craft. Because they already know the basics, they understand the fundamentals, they know where to put the holes. [05:50] But if you put a drill in the hands of someone that is maybe not so experienced, then you're liable to have them put more holes in more things more quickly. And it's highly efficient but it's not delivering value and in fact a lot of times you can be removing value. [06:08] And I think if you just drive for efficiency for efficiency's sake, you really are running a riskier path than if you try to focus on that value chain. Peter: [06:17] And I think that's partly...that's, I think, why some lawyers or law firms, I don't want to go too far down this track but have dismissed this idea or not, have a wholesale adoption to this idea of lean. Because I think they miss, what your mention from the outside, which is this is about a focus on quality and a focus on increase in quality. John: [06:34] I would say the other reason that law firms struggle with any sort of process improvement is that they don't work in the right places. And so, there's a corollary theory to lean that I talk about a lot called the theory of constraints. [06:47] And without going into too much of its history, essentially what the theory of constraints says is that within any complex system ‑‑ and complex basically being like three or more steps ‑‑ there's typically only one phase of the system that constrains the flow of work through the entire thing. So if you think about it, it's another way of saying every chain has a weakest link. [07:12] Any system has a weak point. And if you accept that as true that there's going to be some part of your overall process that is the bottleneck that will constrain the flow of work through your system, your law firm or your law practice, then there are two other sort of rules that flow from that. [07:29] So the first sort of corollary to the theory of constraints is that if you can improve the flow of work at your bottleneck, then you improve the flow of work through your entire system. John: [07:52] The other corollary...sorry. Let me get the...because the other corollary is a more important one. And it's that any improvement you make to parts of your system that aren't the bottleneck won't help. And that's the key because, and actually it can do more harm than good. [08:06] So if you improve some part of your system that's upstream of the bottleneck then all you do is increase the pressure of work on your bottleneck itself. And if you improve something that's downstream of the bottleneck, it's just starved for work. [08:18] And I think where too many lawyers abandon their process improvement efforts is that they start at intake because they think that that's the first part of their phase and if they're going to go logically through that's where they should begin. [08:31] And I would say in the almost five years that I've been doing this, I've only come across one client where intake was actually the bottleneck. Natalie: [08:40] So in terms of moving on to agile, can you just introduce us to agile a little bit? John: [08:47] So agile was born out of a frustration with traditional project management, paradigms, and time frames. And we had these very long release cycles and sometimes they would require a year, a year‑and‑a‑half, maybe even two to three years of planning to get to a single software release. [09:07] When you're asking software developers and UI designers and all of the people, the folks that have to integrate and all the rest to launch a thing that isn't going to launch until a year or two from now, they're really bad at predicting what sorts of efforts it's going to take or what sorts of inputs are going to need and things like that. [09:29] And so what they will naturally do is sandbag their estimates. They're protecting themselves and it's logical that they would do that. But that then begets sort of a timeline creep and then there's a rule, I forget the name of it, that basically says the work on any project will expand to fill the time allotted. Peter: [09:50] We talk about that a lot around here. John: [09:54] Deadlines are nice and useful. The other problem is, if you flip back to that customer value lens, which is the assumptions you make about the value you're delivering to your customer a year or two from now, number one, you're still guessing. And number two, what customers expect are likely to change over that time period. [10:16] The other problem, or one of the problems when you start missing on the development side is the time allotted for quality assurance would be the first to go. And so, QA would be jammed into the very end or sometimes not at all. So now, you release something that took a long time, is expensive, is buggy, and also isn't what the customer wants anymore anyway. Natalie: [10:36] So, to bring this to a legal example, because I know I often hear a lot of people talk about agile with software and I think a lot of lawyers struggle to then see that in terms of what they are producing. [10:46] So, can you try and link it back to what a lawyer is doing in their daily life? John: [10:52] Yeah. The agile approach is to break things down into smaller time frames, right? So, rather than say, "OK, we're going to launch this whole new thing in a year or two," it takes the approach that, "We're going to launch this little thing that the customer hopefully will find value from today, but whether they find value or not, we've released it. We can start generating feedback from the customer whether it's working for them or not, and then we can iterate." [11:18] To tie that back to legal, the easiest corollary is to think in terms of a litigation. So, somebody has been wronged by somebody else. And we'll keep it nice and simple. I don't know what the right matter type might be. [11:33] But somebody's felt some harm and they're mad. And they're mad enough that they hire a lawyer. And the lawyer files a lawsuit. And I think, and I'm overgeneralizing a little bit, but many lawyers think, "OK, I have a lawsuit. Now I must take it through all of the steps." [11:52] And again, the way that traditional project management has seeped into the notion of lawyering is this idea that you would set forth a plan for the entire litigation at the onset. And I think even some companies are starting to do that on the business side of law where they say, "Great. Give me a budget for the whole thing. Give me your litigation plan for the whole thing." [12:18] An agile approach would recognize that things change a lot over the course of litigation. And so, thinking in terms of minimum viable product, if you have a customer, a client, who walks in the door and wants to file a lawsuit you might ask yourself, "What is the minimum viable result that I can get for this client?" [12:40] So, step one might be to write up all the issue that are in play at the lawsuit and write a letter, short of filing. If that doesn't work, then the next iteration might be actually filing a claim, to which you get responses. If you can't settle after filing the pleadings, then the next iteration would be to exchange some documents, some written discovery. Natalie: [13:06] Instead of planning the entire litigation just say, "I'll get you to here. We'll reevaluate and we'll move forward from there. "[13:35] I might have a ballpark but it's a less accurate sense of how expensive discovery is going to be because I don't know anything about the other party. I don't know anything about the other attorney. Maybe there are things I'm going to discover through the course of the pleadings about defenses they raised or this and that." [13:49] So, discovery is a less accurate guess. And I think admitting that at the outset rather than doing what I think a lot of lawyers do, which is similar to what the software designers used to do, which is take the longest possible path and give that as your estimate. [14:06] I actually have a new client that I'm going to begin working with shortly that I'm super excited about because whereas a lot of the firms that I work with, efficiency is their goal. Again, especially those firms that have a non‑hourly billable model because, of course, efficiency is the enemy of that model for reasons lots of your other guests have mentioned already. John: [14:27] This new firm that I'm working with basically only does high complexity, white collar criminal defense in death penalty cases. Not looking for efficiency per se at all, they really do have to dig in and get a lot of things done, although there will be an efficiency component to the work that we do together, I think. [14:52] For that firm, it's really about customer experience. How do you make sure that your customer, in the case of a law firm your client, is having a strong experience throughout the process? How do you make sure that they're getting adequate representations of the value that you're delivering along the way so that they can perceive the value you're giving? They don't just have to take your word for it. [15:18] We do a lot of things along the course of delivering legal work that are hard for our clients to perceive. We know it because we're trained but the client, a lot of times the only tangible manifestation they get of ‑‑ I'm going to use "value" in quotes here ‑‑ is the bill. But what if there are ways ‑‑ and I know that there are lawyers who do this ‑‑ to basically describe the value you're delivering outside of the context of the bill. [15:46] The focus on delivering value, which is the main focus of lean and agile, and communicating that value, which is where the customer experience discipline comes into play, are really one and the same thing. And delivering the value, particularly in a more and more crowded market, isn't enough. You have to stand out. [16:08] I think clients who perceive the value are the ones who are going to come back to you if you have that kind of practice, or recommend others to you, or both. Natalie: [16:18] So, we talked a little bit, obviously, about the client side. Tell me more about your experience from other lawyers. So, obviously you've worked with lots of different firms. Big firms, little firms, and everything in‑between. What's been your experience and the reaction of the lawyers that you're working with to introducing this methodology? John: [16:34] I would say, for the most part, big law is not into it. Mid‑sized to small law can be into it but a couple of things have to be true. Either they have to be in an alternative fee model of some sort, and I include contingency, even though that's not really alternative. [16:51] The other is that they have to have a strong executive presence. Any of these new disciplines, introducing change is something that is both costly and risky for any organization. It's one that requires a great deal of leadership and executive buy in in order to get it to stick. And my experience with the bigger law firms is that it's nigh on impossible to get that sort of strong executive, because of the partnership model and the economics at play. [17:27] Oftentimes a single dissenting minority viewpoint can wag the dog because of the risk of someone saying, "Well, if we're going to make this long‑term investment in this improvement initiative, and that's going to require me to come out of pocket for the next couple years, I don't want to do that. I can take my book of business across the street to Firm B. They're not doing that thing. I'm going to make more money for the next three years." [17:54] And the threat of doing that within a big law firm, or even a smaller, mid‑sized law firm, is so acute that they wind up being paralyzed and not able to actually move forward. Peter: [18:05] You referred to your big law experience, and I just want to jump back to that for a second because I think that that's a...I've read about some of the things that you've written online and know a little bit about your background. And that I found fascinating. [18:18] You had an experience in big law, not as a lawyer but in terms of legal process improvement. Is that correct? John: [18:24] That's correct, yeah. Peter: [18:25] So, how did that opportunity arise? John: [18:27] I was contacted by a senior director for this big labor and employment firm saying, "Hey, we're losing our legal project management and process improvement person. They've been poached by another firm. I've been reading your stuff for a while. I think you'd be perfect. Would you consider coming to work for us?" [18:44] Given where I was in my life I said, "Sure. That sounds interesting." Then, a few things happened. Number one, within two months both my boss, the woman who hired me, and her boss were gone from the firm. So, I lost all of my air cover all at once. [19:01] And so, for a good chunk of the time that I was there, I would get a call from a partner who would say, "Hey, my client tells me that I have to do the legal project management thing, so can you do that for me?" John: [19:17] The partner then talks to me and I say, "Great. I would love to work with you. It's not something I can really do for you. But before we go too far, could you tell me is this an hourly matter or are you on some sort of alternative fee?" [19:32] Of course, 90 percent of the time it was hourly and I had to explain that while it was the right thing to do in the long term for the client relationship and really maybe even for building that lawyer's own practice, in the short term what I was going to do was make it harder for that lawyer to hit their billable hours targets that month. Peter: [19:52] So, before you go further I just want to take a step back for a second. My experience is much more limited in this area, obviously, than yours. But one of the things that surprises me is this idea that it would happen on a lawyer by lawyer basis. And so, I'm interested to know when this started, when you find yourself in the middle of this big law firm with this title and this mandate. [20:15] I guess your mandate was improve efficiency, yes? John: [20:17] That's what I took it to be. I think what I came to understand my mandate was, was be there so that the firm could honestly respond to RFPs by saying that we had someone in my position. And then, I'm not sure that they ever had much intention of taking it further than that. Peter: [20:35] And so, then going back to that secondary question I had, when I look at what we've done...Like I said, we certainly don't have the experience that you do. But when I look at it, I think to myself, "I can't see any other way by doing it as a complete law firm initiative, or at the very least within a larger law firm, and department by department. [20:55] Is it possible to do it by...First of all, is that accurate? Second of all, is it possible to do it on a lawyer by lawyer basis? John: [21:01] So, I think it's accurate. I completely understand and even share a preference for doing it on a department wide, or team, or practice group, or whatever. But one of the things that I've learned the hard way through the years is you have to be able to point to wins and you have to build a consortium of the willing. [21:25] And so, the best way, and frankly the successes that I did have within the context of that firm and even elsewhere, frequently came from getting one lawyer to try something and then when it worked that lawyer became an evangelist. [21:45] And to give you an example, the firm had a lawyer in the Cleveland, Ohio office who had negotiated a big portfolio deal with a major client. In fact, had won this client through an RFP by proposing a portfolio deal. And that part all predated my arrival at the firm. [22:10] But under a portfolio deal he now was in this interesting situation where efficiency became his friend. They were getting a flat annual fee paid 12 times a year to handle this whole portfolio of employment work for this client. And their profitability on that work was directly proportional to the amount of effort that they put into it, right? Additional effort yielded additional cost and drove profitability down. [22:40] In working with that lawyer, I taught him a relatively simple version of Kanban, which is an agile methodology that started with lean. Maybe we can talk a little bit about that because I think that is often the easiest place for lawyers to start. [22:58] But I taught him Kanban. We used sticky notes and he didn't even have a whiteboard in his office so we used sticky notes and then his cabinets above his desk to create columns on the board for him to manage his day‑to‑day work through the system. [23:15] And I trained him and a couple of associates on a trip, and then about six weeks later I got a call from the office manager of that office. And she said, "Number one, I just want you to know I think you've added years to Bob's life because he's so much less stressed than he used to be." [23:32] She said, "Number two, you've got to come back out here because Bob keeps talking about this thing. He's throwing sticky notes on the wall in all these other lawyers' offices. And they're interested but Bob can't teach it like you can. So come back out. You now have people who are interested and willing." [23:48] And sure enough, by the time I left that second time just about every lawyer in the Cleveland office had been trained on the methodology. But the upshot of it was that that office itself got very excited. And then, as Bob continued to be an evangelist other lawyers that he worked with in other offices started reaching out to me, as well. [24:12] Yes, ideally it would be great to have strong executive buy‑in and all these other things, but at the end of the day, one lawyer can have a really big impact on the adoption curve of a practice group, or a team, or even, ultimately, an entire firm. Peter: [24:27] And so, when you're in that environment, and you're trying to get those individual wins, and you are seeing some wins, but I guess, you're not seeing that widespread adoption or it's happening as quickly as you would like. You said earlier big law isn't into it. Is that your evidence that that organization or big law generally isn't into it because there wasn't that infrastructure of support? John: [24:51] Yeah. That firm had a managing partner ‑‑ still has, as far as I know ‑‑ a managing partner who had been in that position for many, many, many years. And almost ironically, the managing partner hated this portfolio deal that the Ohio lawyer had. I actually sat at an ACC event outside of Cleveland where Bob, the lawyer, had brought the in‑house counsel from employment law from his client to Ohio to speak at this ACC event. [25:26] She sat up on stage for 90 minutes and sang the firm's praises. Loved the deal, loved the work Bob was doing, loved that they were getting more bang for their buck. And, in fact, we eventually did some data analysis and I won't get the numbers exactly right because I didn't take them with me but their spend on employment law on a per employee basis dropped by about 20 percent over the course of three years. John: [25:53] Right. However, for whatever reasons, it was well known within the firm that the managing partner hated the deal. And he hated portfolio deals in general. And I don't know, I never spoke with him about it but my understanding is that he looked at it through the lens of billable. He'd been in that position for so long he didn't have another framework, another paradigm to refer to. [26:18] And so, even though the deal, by all accounts, was successful he looked at it and said, "We'd be making more money if we were billing this hourly." Which, of course, has missed the point because we wouldn't have had the deal to begin with if we were billing it hourly, but that was the thing. [26:34] And so, instead of shouting from the rafters and trying to go get published in the ACC magazine or any of these other things. Going for a value championship. Basically, the firm kept a lid on it. Right? They didn't want other clients going to that type of deal because they were afraid of what it might mean to their bottom line. [26:50] With big law in particular, change itself is risky. If they're doing OK, and they're making good money, and the client is reasonably satisfied, any introducing of something new that threatens to upset that apple cart carries with it an inherent amount of risk. And, again, as I think has been discussed on this podcast many times, lawyers tend to be a little risk‑averse. [27:17] But you have to engage in a certain amount of long‑term thinking and critical thinking in order to understand that those changes, not adapting or starting to adapt to those changes now is going to have negative ramifications for you when those changes or when those innovations actually start to arrive. [27:36] Keep in mind, one of the things out of behavioral economics tells us that the avoidance of pain is a much stronger motivator of human activity than is the seeking of pleasure. Peter: [27:47] I've been thinking about that a lot recently, actually. John: [27:50] And so, I think change is painful. Change is hard. We like what we do not necessarily because it's effective but because we're comfortable with it. I think that comfort, to some extent, is amplified in a big law setting a little bit more than it might be in a scrappier start‑up, a smaller firm. Peter: [28:11] What year did you join that big law firm? John: [28:15] Is that right? Yeah, 2016. Peter: [28:20] And so, when you started you were full of optimism and thinking, "I can apply all these concepts and bring them into this law firm and create change within this large law firm," correct? Peter: [28:31] And so, it sounds like you started to get some wins with some individual one‑on‑one training sessions and lawyers who had the "Right" billing structure or at least a structure that fit with what you were doing. [28:44] And then, the other side of that which sounds like the majority were resisting that or understood that their interests, their short‑term interests I guess, seemed to be in conflict with what you were trying to implement or what you wanted to implement. Is that fair? John: [29:03] Yeah, that is fair. And I think, to maybe jump ahead a little bit, part of the problem or part of the tide turning against me, to some extent, within that organization was in part due to my insistence on using data‑driven decision making. And the problem with that is by looking to the data and presenting the data, I was able to steal the winning stories away from a lot of people and they did not appreciate that. [29:35] And just to give you a relatively benign example, the firm had invested heavily in a piece of legal project management software before I arrived. And they had been trumpeting their adoption of this tool. And I thought, "Well, that's interesting. I like that. It's cool." And I went and used the tool and it was OK.
[29:59] I'm a lukewarm fan of legal tech. I think that most legal tech winds up being a poor approximation of things that you can do with regular tech. John: [30:14] So anyway, the firm had adopted this legal tech tool. The director that I worked for had sent out all this communication about how over a hundred attorneys at the firm were using this tool now. I thought, "That's interesting because we're not getting a lot of questions about it. I'm not seeing traffic." [30:33] And so, I got the log in statistics for the tool and as I crunched them ‑‑ and I'm approximating because I don't have the actual numbers in front of me anymore ‑‑ what I learned was that accounts had been created for about 200 lawyers, or people within the firm, not all of them lawyers. [30:52] Of those 200 accounts, 100 of them had been logged into at least once. Of the 100 that had been logged into at least once, 70 of them had been logged into only once. [laughs] Of the 30 or so remaining, only 11 of them had been logged into in the last two months and only 5 of them had been logged into in the last month. One of which was me, and one of which was my boss. Natalie: [31:19] Wow. That's terrifying. John: [31:22] And so, here's the story that we're telling based on data, right? [laughs] We did have a number of people that had used, I'm not sure were using is the right verb tense, but I stole the success story. And I didn't fully appreciate at the time that that's what I was doing, but I now recognize that I snatched defeat from [laughs] the jaws of victory as far as they were concerned. [31:50] And I did it from the standpoint that's, well, number one, we're spending a lot of money on this tool. Either we better do the other work...And I think Casey Flaherty mentioned that any legal tech spend and effort is going to require at least 10 times that effort in training and onboarding and support. [32:07] It was abundantly clear to me that the firm had not done that. They'd done the minimum possible...And I think this is pretty typical. Do a little education session. They had a full‑time trainer who got himself a little bit up to speed on it. Did a training. Might have video‑recorded it for the intranet, in a way that would be painful from a viewing experience standpoint. Peter: [32:53] Sorry. But the victory that they achieved, and maybe the only victory they sought to achieve, is the marketing victory. John: [32:59] That's right. If I'm going to be cynical, maybe that is the only victory they sought to achieve. Peter: [33:09] You used that example and it sounds like you have others. When you pointed out that kind of data‑initiated revelation, I guess you would call it, when you showed them what was actually underneath the kimono, what was the response that you received back? John: [33:26] On the one hand, my boss was really excited at the level and quality of the analysis. So, like, "Wow. This is great. I hadn't ever thought to look at it this way. This is exactly the sort of thing that we should be doing more of." But then again, she was gone [laughs] within a month of that happening. [33:46] The flip side of that, is I had stolen one of her wins. And, number two, it meant that the firm was going to have to do a lot more work. It was going to have to invest more in terms of time, in terms of money, and in terms of attitude, in order to get those things to work. And they thought they were done investing. Peter: [34:08] So, you see that. And you talked about that idea of it sounds like a management shift that maybe took some of the support away. But after you show that big law firm, you say, "Look, here's what's really going on. And it's going to take more than what we've currently been investing." [34:28] I assume, based on what you were saying, the responses were just not going to go there, or is it just silence? What does that look like? John: [34:35] A lot of it was silence. If I had to be honest, probably part of the answer was "That's what we hired you for." And that's true. In fact, one of my job duties was to be the manager of this particular [laughs] technical tool. Which turned out to be really easy because no one was using it. John: [34:51] I think, and I don't want to overgeneralize but certainly within the context of that firm, and I see this among lawyers more broadly, we fall into the busy trap. And it's this thing where you're probably familiar with the Eisenhower Grid. Sometimes, the Covey Quadrants. On the one side, one acts as an urgency and the other is importance. [35:18] And we want to spend time on those things that are both urgent and important when they arise. A client is calling you from jail. That is both urgent and important. But the natural tendency after we've dealt with all of those things, is to drift into that quadrant that is urgent but not important, rather than spending time on those things that are important but not urgent. [35:44] And I think this is a classic example where one of the values of the firm was something along the lines of, "We're uber‑responsive to our clients." And I think that that is a laudable goal within the right context. But the way it was practiced was basically, "We will drop everything to respond to a client email no matter how important or unimportant the question in that email could be." [36:13] And so, we had this culture of running around and constantly dropping what we were doing and moving on to the next thing. There's all sorts of brain science and behavioral science and process improvement homework and all the rest that tells you how incredibly inefficient that is a way to go through life. [36:35] Basically, what I was saying is you have to stop...Through my message. This thing that you thought you had done isn't working. You have to put more investment into it. But it's all long‑term investment for a longer‑term payoff. [36:52] Whether it's a dopamine reaction, a pleasure reaction from responding to the ding of the email or the text, or whatever, or the cortisol reaction of being caught up in the busy trap and being stressed up about how much work I have to do. Both of those things were more addictive to the lawyers within the firm than this stepping back, taking the long view, working on project management, and making those longer‑term investments. Peter: [37:22] I would imagine though, just based on what I know about you and reading your writing, I would imagine that you were making efforts to pass around material, or trying to, talked about earlier, lead the horse to water. [37:34] I can't imagine you sitting in an office waiting for [laughs] all these folks to come to you. Peter: [37:41] I would imagine you took some subtle and not so subtle tactics to try to point everybody in the direction that you wanted them to go for their own benefit. John: [37:49] I did. I trained a lot of associates on the Kanban methodology. In part because, by getting clear and consistent in their own day‑to‑day workflows, number one, it made them more productive. Number two, they felt better about their practices. And number three, it actually provided a really good context for them to manage their bosses. One of the cornerstones of Kanban is to make the work visible. [38:18] So, they would have physical boards up in their offices, the associates would. And if Partner A came in with his or her hair on fire and said, "Do my thing, do my thing, do my thing," the associate could point to the Kanban board and say, "I've got this thing for Partner B going right now, and the next thing that I'm supposed to start working on is this for Partner C. Where does your thing fit?" Natalie: [38:41] And how was people reacting to that? John: [38:45] The associates really liked it. It did work to an extent. Although I have to say, and I might be exposing myself a little bit here, but one of the things that I did upon listening to your Seth Godin interview, was go and buy lots of copies of the book "What To Do When It's Your Turn." [39:07] I gave that book to a lot of associates and said, "You need to think about your work here at this firm, and any place you go work, within the context of your larger purpose in life." [laughs] The upside of it is that a lot of associates wind up leaving the firm in the next six months. Peter: [39:26] [laughs] Seth is going to love that. Peter: [39:30] I don't know why you weren't successful. John: [39:35] This firm had a lot of probably in fact...Another one of the data sets that I exposed, not to my own benefit, was the fact that associate attrition was a real problem. One point, I won't get the number exactly right again, but something close to 30 percent of the associates in the firm had joined within the last 12 months. And it wasn't because the firm was growing that fast. [40:00] So, when you have turnover that is on the order of 25, 30 percent, that's a really expensive problem. And Seth and me, as the agent of Seth, may have accelerated that for a handful of people. [40:13] And I do think that maybe the Kanban, getting clear on how they do work and all the rest, and then seeing some of the headwinds they were getting from within that firm, made those younger lawyers look around and see that there are other options and other ways of practicing. And that they don't necessarily have to be stuck in somebody else's pyramid scheme. Peter: [40:33] So, from your perspective, it raises an interesting point. When you joined this big law firm, essentially what it sounds like to me is, you didn't see or couldn't see everything that was behind that curtain until you were part of it. And once you became part of it, you start to understand what the restrictions were. What you could and could not do. [40:56] These associate lawyers that you were talking about either didn't know about this going into the firm, once they joined the firm in the instance. And they can only learn it once they were part of the law firm as well. [41:08] From that perspective, how do people outside these law firms assess whether what they hear is a marketing spin, for lack of a better word, or whether they're aligning themselves with the right type of organization? John: [41:28] I think they need to ask for proof. One of my more recent blog post is something along the lines of how to detect lawyer BS. The recommendation that I made in that post is, number one, look in your law firm or lawyer's materials, whether it be the website or elsewhere, and try to find a mission statement or a vision statement. [41:56] Whether or not they have one is a really good early indicator about how they think about their service for clients and their role in the marketplace, more broadly. Number two, is ask the firm. Great, here's your mission. Here are your values. Here's your vision. What are you measuring to know whether you're on track? [42:18] The act of measuring changes behavior, almost immediately. But so many firms have created this marketing gloss or this vision statement that was maybe done for them by an outside marketing firm, or maybe done internally with the marketing department. [42:33] But they're saying something in part because it will sound good to their clients. It will help get them hired. And that's not enough. We have to hold firms to a higher standard. And so, asking them, "How do you know? What are you measuring so that we can tell that you're making progress towards this thing that you say you're doing?" And see what answers you get. Peter: [42:58] You've talked to a lot of lawyers and associates in this big law environments. And some of them have adopted some of the methodologies and run with them and had successes, and other ones haven't. And so, if we characterize them in these two boxes, what traits do you see from one versus the other? John: [43:17] That's interesting. Number one, I would say look to lawyers and firms that are looking outside of the legal mainstream for inspiration and guidance. I'll namedrop Littler Mendelson, in part because I truly think they're an example of a big law firm that has done some really good innovative things. [43:42] But they've done it through a series of very small innovations. But why bring them up now is that they, by hiring Zev Eigen, who has a big degree of some sort in data science from MIT, they're looking beyond the normal pool of talent and conventional wisdom that exist just within our industry. [44:06] Part of my unfair advantage is having worked in the software industry and the technology industry for 10 years before becoming a lawyer, I have pretty strong ideas about how the world should work, and how well it can perform when it does work, using a certain number of tools and disciplines. Among them data‑driven decision‑making and Agile, and so on. [44:29] And when I got into legal practice, I was astounded at how few of those norms were present within our industry. Part of my mission, and really my initial mission, which I've expanded on more recently, was to bring the tools of modern entrepreneurship into the legal space in order to help lawyers build more effective and sustainable practices. Peter: [44:57] That's how we view things, always looking outside our law folks. Frankly, that's where most of the good ideas are. Peter: [45:04] But getting back to your big law experience. When you had that incidence with that practice management software, was that the incidence where you thought, "If they're not going to listen to this, this is certainly the end of my journey here."? Was that the moment where you said, "OK, this is not going to work."? Or was it something else? John: [45:23] No. Fortunately, that was relatively early. So, I said, "Gosh, here's this thing that they thought they were doing. But that's OK because I have better ways of doing law practice management than this software is trying to produce anyway." [45:36] So, I was still very optimistic at that point. Some of it warranted. And again, we had some good successes within the right context. Once I saw behind the curtain, my freak‑out reaction was, "Oh my gosh, it's worse than I thought." John: [45:54] And I didn't have a particularly rosy view of big law going into it. I thought there was a lot of opportunity. But the size and scope and durability of the problem set continued to surprise me. And the thing that really was the last straw for me had a lot to do with some of the things I was raising from a data standpoint around personnel. [46:15] The associate attrition. I raised some cracks in the claims they were making around their diversity hires and programs. They were, indeed, making a fair number of diversity hires, but those diversity hires weren't sticking around for very long. Which makes the hiring numbers look really good. John: [46:34] And if that's the only story you're telling, then great. But I had some inconvenient truths around what I was seeing. I was told many times, in no uncertain terms, that I was drifting out of my lane. But unfortunately, that's my nature. I'm looking for problems to solve. [46:57] I was coming from a position of wanting to be genuinely helpful. I'm not trying to discredit the diversity hiring manager and saying, "You're doing a lousy job." It's his job to hire them. It's the firm's job to retain and train and bring people in. At the end of the day, they were falling short. [47:16] It was the culmination of my bringing many of those things to light that, I think, the powers that be within the firm had finally got a bellyful and decided they were better off without me. Peter: [47:29] And when you look at all these issues, and when you say things like, "It was worse than I thought." And again, the idea is not to pick on one firm. Because frankly, this is a firm that, say what you will, but they did try to hire you and somebody like you. I hope this isn't taken as slagging anybody in particular. [47:53] But when you look at all these different issues, which I think it's fair to say it's consistent across all big law firms, or most big law firms, what do you think is the core problem? What is the lynchpin that's causing these ideas not to spread? John: [48:10] There's a few different places where I can go with that. I know you've had Jordan Furlong on as well. I even said that I agree with everything in Jordan's book except the title. I don't believe that law is a buyer's market. I think it has shifted from being an extreme seller's market to being a somewhat less extreme seller's market. [48:30] But simple demographics tell us, in Oregon at least, we've reached peak lawyer. The number of lawyers as a function of population has been dropping for years. [48:46] The number of lawyers on an absolute term is slated to drop in 2018. We will have fewer lawyers statewide to support the people of Oregon than we did in 2017. And that's only feeding the seller's market. [49:03] There are two things that come out of that seller's market. Number one is a natural inclination to go and move your work to the top of that market. To go to where the highest value, highest margin work is. Or even the highest value work even if you're accepting a slightly lower margin. [49:20] And we've seen that in the exodus from the people law sector into the business law sector. And in some ways, I haven't said this out loud much, but a lot of the behavior that I see within the legal industry is like 1,000 little Pharma Bros doing their thing. We're moving the work, we're moving upscale. We're raising rates, we're raising prices, whatever, because we can. Because we can get away with it. Peter: [49:58] I never thought he'd be mentioned on this podcast. John: [50:03] And I'm not saying that every lawyer is a Pharma Bro. But as we make these decisions that, "Oh, we can raise rates by 10 percent a year, year after year after year," it's the same type of behavior. [50:15] And as long we're in a seller's market, and as long as we have this self‑regulated monopoly where we are limiting the participation in that market, then there's a natural incentive to do what we're doing. The status quo billing by the hour at high rates is a really good way to make a whole lot of money. And changing that is risky. [50:40] And again, there are notable exceptions. I think Littler Mendelson has done tremendous work. They've driven a ton of cost out of the process of dealing with EEOC claims, or single plane of employment cases. They're providing rich data and information back to their clients. [50:57] They're really doing an excellent job. And I think they are changing the landscape in that area of law, and building a competitive advantage for themselves. It is hard for other firms to match, which I think is great. They're a wonderful example of innovation working in the favor of the innovator. Peter: [51:17] Is that gaining market share? John: [51:19] I think it is. I haven't seen data that show that. I know, anecdotally, a lot of employment lawyers I've talked to at big firms are really worried. And I've heard from those lawyers that clients are asking questions like, "When are you going to build a version of the Littler dashboard? Why would I hire you at this rate?" Because I know that Littler is doing EEOC charge responses nationwide flat rate, $4,000. [51:48] It's easy for the client to understand. They know what they're getting. They know what they're going to spend. They have a good customer experience or client experience in the process, because Littler is sharing information through the dashboard and through the CaseSmart program and all the rest. [52:02] I think it's changing the market. I have to think that they are taking market share. Peter: [52:08] Your recommendation to those lawyers who are looking at Littler, or whomever and saying, "Wow, we should be concerned about that, and our firm should be moving in that direction," what's your recommendation to those lawyers? John: [52:19] Start solving problems. Trying to make these little incremental improvements. Again, using Littler as the example, the response that I often heard within my firm was, "Well, we've gotta introduce a dashboard, because Littler has a dashboard." [52:35] That gave me a head slap moment where Littler's been working on this stuff for five, six, seven years. By dedicating themselves to it early, by making that first step and then learning and improving and learning and improving, they got to the point where they could build this whizbang dashboard that clients seem to love. [52:57] The idea that you could look at the Littler dashboard, assuming you could get access to it, and copy it is laughable. It's not about the thing that you've built. It's about all the learning that you've been doing over the months and years of trying. I guess to answer your question, I would say run more experiments. You have to tinker. [53:22] You have to try new things, but you can't just try new things. You have to measure their success. You've got to put some stake in the ground that says if I do this, and I'll use intake, even though it's rarely the bottleneck, I believe that by doing this thing, I can make intake happen 20 percent faster. [53:43] Take a guess, put a stake in the ground, make a change, and then see whether you meet that goal. There's no shame in failing. It's a made‑up goal to begin with. You get to invent the numbers. If you don't invent the numbers, then you'll never know whether your improvements are working or not. That's the key. Peter: [54:04] Not to hammer on the point, but I guess my question is, your experience to bring process improvement to a big law firm, can we characterize it as a failure? If so, then I guess my question is what makes us think that anybody else has any shot at this? John: [54:25] I would consider it a qualified success. Again, I had good successes with those lawyers that had types of matters and billing arrangements that were rewarded by efficiency. [54:38] One potential takeaway is that not surprisingly if you get more efficient when you have a relatively fixed fee schedule, your profitability will go up. The math works in your favor there. For a lot of the firms that I work with now, many of them smaller, I've helped at least two different firms in the last few months, transition to flat‑fee offerings for at least part of their work. [55:08] Basically, I started doing process improvement work with them while they were still hourly. What they found was that their volume of matters that they're handling was going up, so their flow is better. Their through‑put is better, but they're making the same amount of money because their revenue per matter is dropping. [55:26] They're trading an hour on matter A for another hour on matter B. But doing that and doing it with eyes wide open, that was a reasonable experiment to run. They didn't lose money. By running that experiment, it gave them the information and the confidence that they needed to say, "Oh, finally, now we see how flat fees can work within this practice." [55:48] Now they're running the new experiment to say, "Great, here, here's the offering we can make, you know, here are the, the, the boundaries we can put on it." [55:56] Here again, I learned that through my "failure" at big law, and that's allowed me to be more effective with other clients. I don't think that anything that I learned proves that process improvement won't work in big law, it just won't work the way they were doing it. Peter: [56:16] I hope that you didn't take it that I was implying anything else. John: [56:19] [laughs] No, no. John: [56:21] I can take failure, and I do. There were some flat failures. I did not get the kind of buy‑in that I hoped to get either on a lawyer‑by‑lawyer or certainly at a management level. If I'd had management buy‑in, I probably would still be there. Peter: [56:35] That's what kind of what I'm driving at is you're very candid in saying, "I could have done this better," or "I could have done that better." There's so many things in our practice and in our lives that we can do the same thing. [56:46] But when I look at kind of...Is this a management thing? Can this be adopted or solved for big law in any way unless there is a wholesale structural change? That's my question. [57:00] I think about all these associates or new partners in these law firms who are inspired by this message or seen some success in it and wanted to spread throughout the entire firm. And I just keep thinking to myself, "How is that going to be possible without some sort of large scale structural change?" You've had that internal view. What do you say to that? John: [57:27] I agree. I think there needs to be a lot of large scale structural change. At the end of the day, and this is actually really consistent with literature that you would see about an Agile adoption in any industry, or a Lean transformation effort in any industry, it takes really strong executive sponsorship. [57:47] You need a strong executive. You need a guiding hand who's going to be out on point and say, "We're going to do this, and it's going to be OK. I'm going to lead us through the forest. I'm going to take us through the dark points, and we're going to come out better for it on the other side." [58:04] And I think the problem with law and big law, more broadly, is it's rare to have a strong executive. Managing partner positions are often filled on a rotating basis, and it's almost a duty more than a desire for a lot of people that wind up occupying that seat. [58:27] And they can come into it with some momentum and a head of steam, but they often still have their own billable hours targets, or their own clients to attend to. Then all of a sudden, their management of the firm becomes a part‑time job. It winds up being more a burden than a benefit to them, personally. [58:44] And so, it's tough because of some of the things that are inherent with the way that the big law model works. It's rare to find a strong executive. [58:55] And as long as that's true, then any sort of change effort, any sort of innovation effort, whether it be process improvement or technology adoption or whatever else, is going to face a lot of headwinds. Because, again, it's that notion of trying to get something pass through the congress rather than getting the chief executive to get behind it. It's just a lot harder. Natalie: [59:18] What did you find was the best part of that interview? Peter: [59:22] Hands down, the fact that he listened to our podcast, gave out Seth Gordon books, and people quit the law firm. Peter: [59:31] We should just end the podcast today. That's it. I don't know what else we could possibly achieve. Peter: [59:42] He said it happened in that order. That is incredible. That is absolutely incredible. Natalie: [59:47] It certainly sounds like he had an amazing impact on some of the individuals there. Peter: [59:50] Yeah. On some of the individuals, and absolutely no impact on the organization writ large. Natalie: [59:56] Or the people who are making the decisions in that sector. Peter: [59:59] Right. And what do you think about that? They hired him. In a sense, it has to be shocking, right? They hired somebody on to build this through their organization. To take them in this different direction. And those efforts were not adopted and failed. Natalie: [60:20] To me, it speaks the fractured leadership side. So, he got hired by one specific person, he said. And that person was trying to do wonderful things. And they were gone within a very short period of him accepting that position. [60:36] We've heard other people tell similar stories. You come in under the guise of one person who is genuinely making changes in an organization. And then they leave or asked to leave, and that leaves nobody to spearhead these sorts of initiatives. Peter: [60:51] But then how fragile is this? Natalie: [60:52] It sounds pretty. Peter: [60:54] How fragile can leadership strategy be? Whereas a large law firm is moving in one direction and has a vision, and then it almost, in a very short period of time, wholesale changes and abandons that direction entirely. Natalie: [61:12] I think you're placing too much weight on the idea that they were behind this change to begin with. Maybe this was a, "This lady's particular pet project will have it and we'll carry on." And then something clearly changed, and she was not considered to fit within the strategy moving forward. [61:32] So, I don't know if I read it so much as a significant change in the overall law firm strategy so much as a willing indulgence in one area that then they were no longer willing to continue. Peter: [61:43] Maybe, maybe. Do you think this really means anything? Do you think that this is indicative of anything or is this just one man's experience, and one law firm's experience? Natalie: [61:52] I thought it was really interesting because, like you said to John, we don't get to see this side very often. I don't have a lot of insight into how big law firms, in particular, are dealing with the types of changes that we're looking at and the types of things that we're talking about implementing. [62:09] I don't know if I think it's indicative because I've got very little to compare it against. Peter: [62:15] Yeah, but it is, like I said in the podcast, in the interview. It is fascinating that John is the only person that we've come across with this perspective that has been embedded and trying to create that change, and having a legal background, as well. [62:31] And then, on top of that, being so willing to talk about it. I think we're all fortunate to have his insight. Natalie: [62:38] I'm sure there are other people who have had similar experiences but it's definitely John's willingness to talk. I don't think John is planning to go back and try this again in another big law firm. Peter: [62:47] [laughs] No, I don't think that's happening. Natalie: [62:48] I don't see...John's not particularly concerned with his own personal self interest in that respect. He's trying to share a story. Peter: [62:59] I would love to hear, if anybody's listening that has been in a similar place and had a similar experience or in a similar place and is currently having a different experience please reach out to us because I'd like to have more voices on this and get more perspective to what's going on internally. In particular, people that are no longer with the organization. [63:18] We try to remove some of that connection or bias or spin that might naturally come from people that are still involved. Natalie: [63:25] I want to hear success stories, too. I want to hear somebody who can turn around and say, "This is exactly how a really strong leadership in a law firm helps me implement these processes and this change." I think that would be really refreshing. [63:41] Although, John did say he's got specific stories of success. I'm sure he has changed the lives of several of the people there. Natalie: [63:50] Maybe it goes back to this isn't something that happens on a large scale. This isn't a boil the ocean type of area. It has to be incremental and it has to be lawyer by lawyer. Peter: [64:01] Oh, God. That can't be the way this works. It can't happen bottom up. Peter: [64:09] It will take too long. Natalie: [64:13] It doesn't matter how long it takes. It's going go incrementally. Peter: [64:17] The market will shift by then. Natalie: [64:18] Everyone says that. Peter: [64:20] There's too much progress by axiom and the like for a big law firm to rely on individual, bottom up change. Natalie: [64:28] I think that the law firms can get by with small tweaks here and there. Hiring people like John for a year or something, making some changes, and then moving on. I don't know if the market is going to shift so much that that makes that approach untenable. Peter: [64:44] Did it sound like John made, and again this is no slight to John or the law firm, but really, does it sound like John made any organizational change? Structural change at that law firm? [64:55] Like you said, I do think he certainly changed the lives of some individuals in that and how they work. That might spread a little bit organically but in the time that John was there, based on his description of it or his account of it, it doesn't sound like any organizational change happened. Natalie: [65:12] What's interesting is everything came to a head in John's experience because of an RFP that was delivered by a client. It was heavily based on Casey Flaherty's "Unless You Ask" questions. Peter: [65:25] It was a mirror. Natalie: [65:25] It was word for word, basically. Peter: [65:27] It was probably his. Natalie: [65:28] That experience probably shook a few people and probably caused some ripples. Even though, perhaps, it might not be John specifically the experience of John having said to them a few months earlier, "Oh, you should really get on this because this is going around in the community. We have really bad answers for these questions." [65:50] And then, ignoring that, and then being faced with the actual questions a few months later. Hopefully, that would have echoed somewhere and somebody would have said, "OK, yes. Things are changing now." Peter: [66:02] Interestingly, this is another instance in which what's happening in new law...We can say that it's all Casey's fault. Natalie: [66:12] [laughs] Casey would be very proud, I'm sure. Peter: [66:15] [laughing] He probably would. Natalie: [66:16] That's the change he wants, right? Peter: [66:18] Casey, we see you smiling. Natalie: [66:19] [laughs] But it's a great story in that respect. It is the influence of what Casey's work had. Obviously, it didn't necessarily work out well for John but I think that he's probably better for it in the long run. But having Casey's questions come up like that is remarkable. Natalie: [66:54] That was phenomenal. Peter: [66:55] The actual usage of the software that was being touted outside of the law firm and how amusing and interesting it was that the response to that was to stop using the software. And then, later, on top of that how funny is it that John didn't want them to use the software anyways, but that idea of him presenting data to show adoption rates or failures to log in. That was a great little story. [67:25] I wonder how many other people in law firms in John's position are doing the same type of analysis and pushing for that change internally or if they're just happy to go along with the marketing message. Natalie: [67:40] You heard John talk, as well, about the message to stay in his lane, I think he described it as. Where he could see issues in other areas of the law firm and he was asking the right questions but nobody wants to hear the questions. Peter: [67:55] When you hear that and when you think about that, does it cause you...? Peter: [68:01] No, but do you just think, "Oh, he was just a marketing piece." Natalie: [68:04] Do I think the law firm hired him as a marketing piece? Peter: [68:08] Yeah, do they think this is just an instance in which they used John's role and title as a marketing piece? Natalie: [68:14] I don't think that because I think that they were probably interested in the ideas that John could bring but didn't see him touching areas outside of, perhaps, the legal implementation side. Peter: [68:27] So then, this goes back to, "Oh, this is a cute idea. Just don't ask us to do the hard work." Natalie: [68:32] Actually, what I take from it is really bad messaging to the other units in the law firm. So, he touched on, I think it was marketing he said. And he gave an example of accounts receivable. He noticed that the firm was spending a huge amount of energy collecting really small balances that they had a very low success rate on. [68:49] And John was like, "Why? Why don't get the money in advance?" Those kind of questions are really smart, practical questions but if the leadership of the law firm hasn't warned the accounts receivable guys that this might be coming up then, yeah, you're going to hit into a territory war. Peter: [69:06] John had so many good stories. Now you're reminding me of the diversity hires. Peter: [69:12] That's such a great story. Natalie: [69:13] It goes back to, not so much change management, but preparing other people to hear those questions. And it sounds like the law firm could have gone a little further in that respect. Peter: [69:24] Need to. Lot's to think about. See you next time on Building NewLaw. Male Announcer: [69:34] Thanks for listening to the Building NewLaw Podcast, brought to you by Counter Tax Lawyers. To learn more about Counter, go to countertax.ca. Female Announcer: [69:45] For this episode short notes and transcript, and how to satisfy your Law Society CPD requirements, please visit our website at buildingnewlaw.ca. [69:52] We'd love to hear from you and if you have any feedback, feel free to send an email to info@buildingnewlaw.ca, or come and find us on Twitter, @buildingnewlaw. Don't forget to subscribe on iTunes, our website, or wherever else you get your podcasts. Lawyers that have completed the S03E06 BNL CPD cam claim a 55 minute Professionalism CPD credit. To access the S03E06 verification examination click this link.